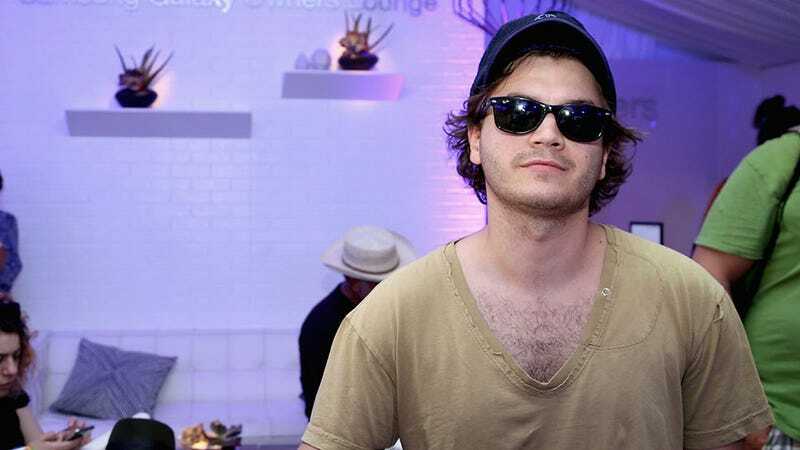 Emile Hirsch Charged for Choking Woman He Was Angry At for "Being Rich"
Emile Hirsch, star of such movies as The Girl Next Door and Into the Wild has been charged with third-degree assault after he allegedly choked Daniele Bernfeld, a paramount executive at Sundance. The reason for the attack? Hirsch just didn't like that Bernfeld was at the party and felt she didn't belong. According to police, "Hirsch appeared intoxicated and asked [movie exec Daniele Bernfeld] why she looked 'so tough' and said she was a 'rich kid' who should not be at Sundance." FYI — Bernfeld is an exec at Paramount. Bernfeld told police ... she moved away from Hirsch to go sit with a friend at a table — and moments later, Hirsch came up from behind her and "put her in a chokehold." Then, Bernfeld claims Hirsch "pulled her across the table and onto the floor" and landed on top of her. While on top, he allegedly wrapped his hands around her neck and began to choke her. She said she felt as though "the front and back of her throat were touching and she remembers things going dark." According to the report, Hirsch told police that he and Bernfeld had had a verbal disagreement. Verbal disagreements, however, usually don't involve one person being pulled off another or the victim being left with marks on her chest and neck area. Maybe he was just taking poetic license? Good evening! Have you met former Miss Mississippi and future contender for "best rap album of the year" at the Grammys?